I have an even better Islamic solution. In Mecca, Muhammad took over a pagan shrine called the "Ka'ba," and he kept one of its idols, the Black Stone. He justified the incorporation of these pagan elements into his new religion by claiming (with no evidence whatsoever) that the Ka'ba and the Black Stone were originally Islamic, rather than pagan. Why not do the same thing with the pyramids and the Sphinx? Muslim leaders could start maintaining that the pyramids were built by Abraham and Ishmael, and that the Sphinx descended from heaven. Then Muslims could bow down to the pyramids and kiss the Sphinx, the way they do with the Ka'ba and the Black Stone. Problem solved! 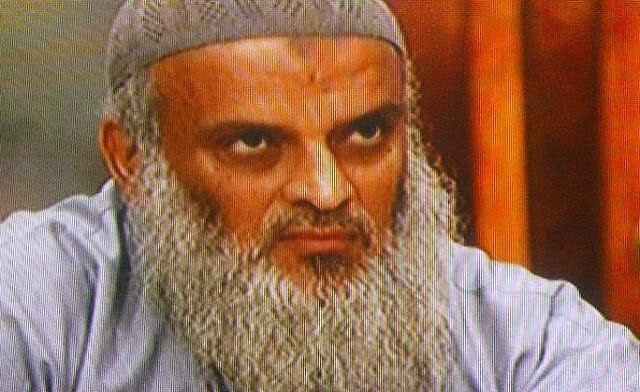 EGYPT--An Egyptian jihad leader, with self-professed links to the Taliban, called for the “destruction of the Sphinx and the Giza Pyramids in Egypt,” drawing ties between the Egyptian relics and Buddha statues, local media reported this week. The mindless mimicking of Muhammad's made-up religious practices by Muslims is nowhere better illustrated than by his successor, Umar, who kissed the Black Stone and talked to the piece of rock, saying, "No doubt, I know that you are a stone and can neither benefit anyone nor harm anyone. Had I not seen Allah's Apostle kissing you I would not have kissed you." (Bukhari, Vol. 2, No. 667) Pilgrims to this day must touch or kiss the Black Stone 21 times when they perform their hajj rites. He and most muslim I meet have completely dead eyes. Such a waste of a life. 5 times praying to a black stone is also idolater thing. Muslims can be the most illogical, irrational, immoral and even delusional when they apply the teachings of Muhammad from the Qur'an in their lives because it goes against historical facts, science, morality, rationality, equality, reality, human rights & more. About the Sphinx of Giza, how irrational and stupid you have to be to think like "Murgan Salem al-Goharyit". By the way, the Sphinx has been there for well over 4500 years about roughly 3100 years before the birth of the illiterate prophet Muhammad. Almost 5000 years later, Muslims like Mr. Salem al-Goharyit decided or perhaps, have just realized it is an idol so now, it must be destroyed. It proves how much they are intolerant towards other faiths (religions). It's always a double standard in Islam, we are a religion of peace. We also kill apostates, homosexuals and also disbelievers (only if they are the majority). Personally, I called this hypocrisy 101. For almost 5 millenniums, the Sphinx in Giza never bothered anyone and from the time of Muhammad in the 7th century till today, Muslims also never been bothered by the presence of the Sphinx in Egypt so my question is why now? Poor Islam, may the spirit of the Lord Jesus Christ shine on Muslims and bring them to repentance but it is only possible by the grace of God Yahweh, not Allah. To put Mohammad, who was only a man, on a pedestal is also idolatry; so they will have to remove him too. To destroy- what was built on tireless labour, blood sweat and tears. One of the wonders of nature and a true work of art - is beyond me. 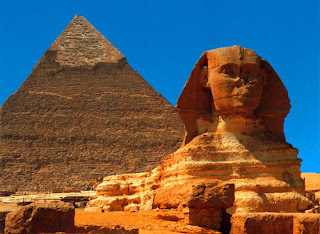 Egypt has recognition because of pyramid and Sphinx. Once destroyed how people from other country going to identify Egypt.